Jacques Bouveresse is perhaps best known in the Anglophone world for being among the least well-known of contemporary French thinkers. 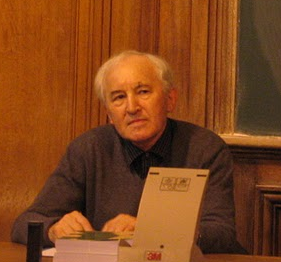 Of the same generational cohort as Badiou, Rancière, Debray and Balibar during Althusser’s reign at the École Normale Supérieure, a long-standing friend and interlocutor of Bourdieu, elected in 1995 to the chair of Philosophy of Language and Epistemology at the Collège de France, his work has been translated into Italian, German, Spanish and Japanese, but so far rather little has appeared in English. Paradoxically, one reason for this may be the antagonistic stance he has generally adopted toward his native philosophical milieu: ‘Why I am so very unFrench’ was the title beneath which he introduced his work to the Anglosphere in the 1980s. Badiou has famously characterized the moment of postwar French philosophy as encompassing ‘a new appropriation of German thought, a vision of science as creativity, a radical political engagement and a search for new forms in art and life.’  Against this, Bouveresse has looked to Austria, rather than Germany; valued mathematical logic and discounted any heroic role for science; adopted a politics of modest reformism; and eschewed the seductions of performative rhetoric in favour of clarity and precision. Yet as the dominant modes of French philosophy have changed—existentialism, structuralism, post-structuralism, ‘new philosophy’, neo-Kantianism—Bouveresse’s relation to it has adjusted too. An outline reconstruction of his work may help to provide a view of French philosophy—its habitus, as Bourdieu would say—from the perspective of one of its fiercest internal critics, and offer the basis for a preliminary critical assessment of his own achievements. This entry was posted on Monday, March 26th, 2018 at 00:03	and is filed under Uncategorized. You can follow any responses to this entry through the RSS 2.0 feed. Both comments and pings are currently closed.